SuperBee Wax Wraps to hand out to all of your friends. Perfect for restaurant owners, small retailers and big families. All at a 25% discount off the normal price. Mixed Australian designs for every kitchen. Introduce reusable beeswax wraps to your home, play with our three different sizes (S, M, L) and discover the many ways you can replace plastic wrap with The Beeginner Set. 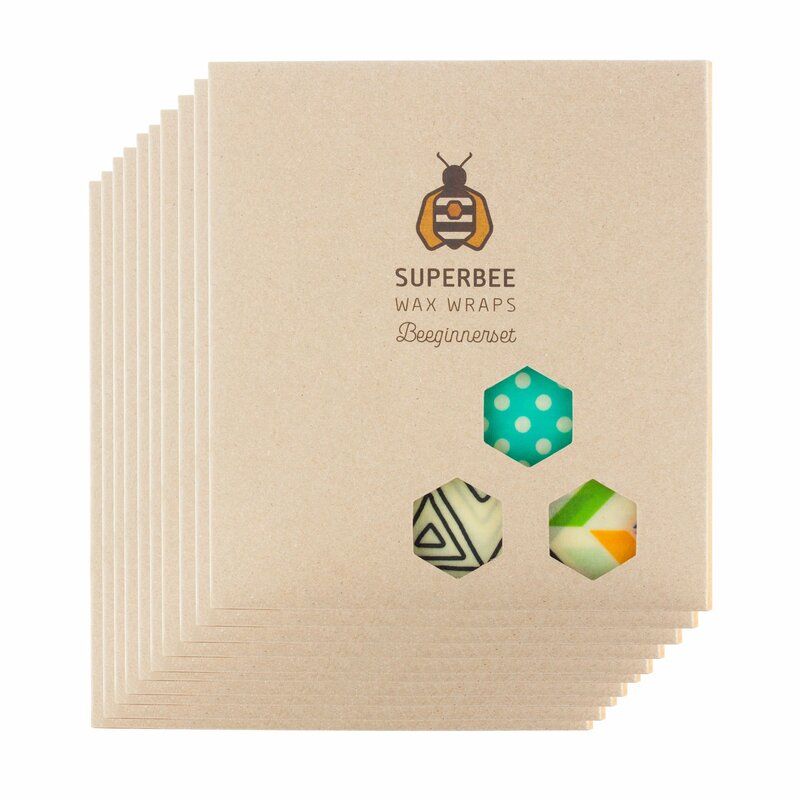 The Jumbo Pack is made of limited Australian designs, unavailable anywhere else..
SuperBee Wax Wraps are the perfect sustainable gift.Spread the Plastic-free love.. Thank you so much. Great Value. I was hesitating on the Jumbo pack, but after trying this product out, I throw out all my plastic wraps and am only using was wraps now ! Thanks. I have been using the beginner set for over 5 months. Wraps are still in great condition despite using them every single day. I just bought a jumbo pack as a Xmas gift for my whole family wishing they could start their own green revolution in a fun a colourful way. Good job SuperBee! Orders shipped outside of Thailand may be subject to import taxes, customs duties and fees levied by the destination country. These will be the responsibility of the customer. Please use the calculate shipping function in cart to see the shipping prices. Subscribe to our Newsletter to get the latest Buzz about SuperBee Wax Wraps. Insider Offers and Flash Sales in your Inbox. and 10% off your first order!